Most companies come to us wanting a website or a campaign, they have a logo or have a bad website and need help. Business owners are generally so time poor – and rightly so working in the business not on it. They struggle to be across all elements around digital marketing, media and tools, and or just don’t where to start. There is a much better way, you can have a group of experienced professionals who can work with you to drive your business objectives and grow your company’s dreams. Without adding to the head count or paying to having tiers upon tiers of management to create and deliver digital tools, websites and integrated campaigns that are designed to drive sales. There is a new way to get the highly skilled strategists, creative team and care without the vast expense of a full blown marketing and communication team working under your roof. There is a new flexible approach on offer, a way to get the best minds assisting you to achieve success, excellence and drive sales and customer experience. Our goal is to turn business dreams into reality and work long term to deliver that, so let’s work together. Marketing is about makeing people fall in love with your brand. Results-focused Marketing Strategist who is passionate about communication, media and technology. 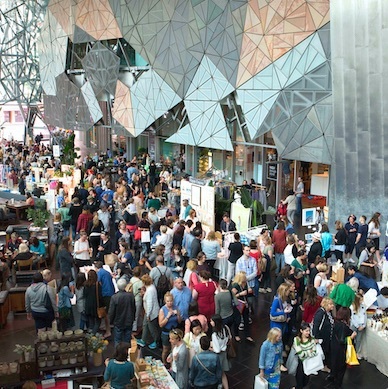 Markit is on the Sunday in Federation Square Melbourne!